No, I didn’t coin the term “Trumpification” (google it you’ll see) but it’s what you are seeing in lawyer advertising in the field of personal injury law in Ontario. 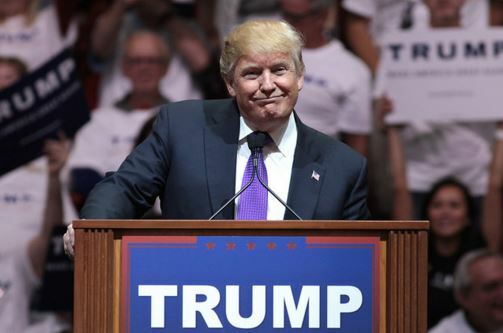 Watching Donald Trump, we see the self-aggrandizing sales themes he has become known for. Amongst others, they seem to be “I am the best“, “I am the toughest” and “I am the most successful“. You see similar themes in personal injury lawyer advertising in Ontario. Claims of being the toughest, most intimidating and most successful find their way into landscape of ads for personal injury lawyers you see across all mediums from television to social media to bus stop benches. And just like the American public’s response to Trump, you see a percentage of the population that finds the messages compelling and a percentage of the population that finds them distasteful – including many lawyers themselves. During the 70’s and 80’s every trial lawyer who received a verdict for a million dollars had to rush to the media and talk about how his or her verdict was the biggest in the country. The lawyer of the 70″s and 80’s wanted to talk about his multi-million-dollar verdict in terms of what a talented lawyer he was instead of addressing the important issue of how deserving his client was. He wanted to emphasize his savvy rather than publicize the service he had performed for a deserving client. Search Engine Optimization and purchase of google adwords so that our firm can rank on the first page of an on-line search for personal injury lawyers. As you can imagine, the sheer number of offers are overwhelming and in some cases laughable and insulting. Why do we see the proliferation of this new economy and lawyer advertising? There are a number of reasons some of which I’ll share. To quote my good friend and advertising executive, Craig Markou of Wooden Hill “advertising works” – plain and simple; and just like Trump for every person that is turned off by a message there is another person that the message resonates with. Here is my problem with what I see out there in some (but clearly not all) ads for personal injury firms. Unlike Trump who is appealing to unhappy Republicans, Independents and even some Democrats, personal injury lawyers are appealing to a vulnerable sector of our society. In particular, they are appealing to individuals and families who have suffered a traumatic loss. Some of them will have suffered paraplegia, quadraplegia, brain injuries and other injuries that carry with them a host of profound cognitive and psychological deficits. They are vulnerable and have never been through a legal matter before and are looking for someone that can help. When I see ads that in my view breach our Law Society Rules of Professional Conduct for lawyer advertising it get’s my Irish up. I see it as breaking the rules and taking advantage of a vulnerable person. Some may call that sour grapes on me – I get that. I call it unfairness to a vulnerable sector of our society. To it’s credit our governing body, the Law Society of Upper Canada, is making efforts to look into the issue of lawyer advertising, but there is no easy way to supplement it’s existing rules. Lawyers are not a group with homogeneous interests. Some believe that advertising should be eliminated completely. Others believe that there should be no rules governing advertising and then there are those that fall somewhere in the middle. I can only imagine the debate being similar to the internal civil war happening within the Republican party as it attempts to come to terms with Donald Trump. So I ask myself, what is a firm to do? I can’t bring myself to go down the road to Trumpification. That’s not a judgment it’s just not my style. Unfortunately, it puts my firm at a competitive disadvantage in the current marketplace. You won’t find us on the first page of a google search or Trumpifying ourselves on the radio or television. I don’t pretend to have all the answers but it occurs to me that the root of our efforts have and will continue to be all about service: Service to our clients; service to our community and duty to the Court. From time to time, yes we will trumpet our victories but what’s more important to me are the small victories our clients experience when they finally return home after a lengthy hospital stay, when they take their first step after doctors have told them they will never walk again, or when they move into their new home that has been modified to accommodate their needs. And what’s most gratifying for me? It’s the heartfelt thanks from our clients in tearful moments at the conclusion of their cases that you will never hear about. No, we won’t “Make America Great Again” but we’ll leave a silent indelible impact on the lives of many…one person at a time. Bill Teggart is a leading Ontario personal injury lawyer and has been included in Best Lawyers in Canada for five consecutive years. He represents people who have suffered severe injuries or lost a loved one in car accidents, snowmobile accidents and boating accidents.